We take for granted how easily we can read the time in darkness. But back in the early 1900s, there was only one way to make a clock glow in the dark—painting the numbers with radium. It was delicate work, and radium-dial factories hired young women to do it. All day they would press them between their lips to keep them sharp. Of course, radium is radioactive. The young women got horribly and gruesomely sick. They began to die. The companies refused to do anything about it. So the young women fought back, in court. Writer Kate Moore tells their story in “The Radium Girls.” She told Anne Strainchamps she could not stop thinking about the girls. 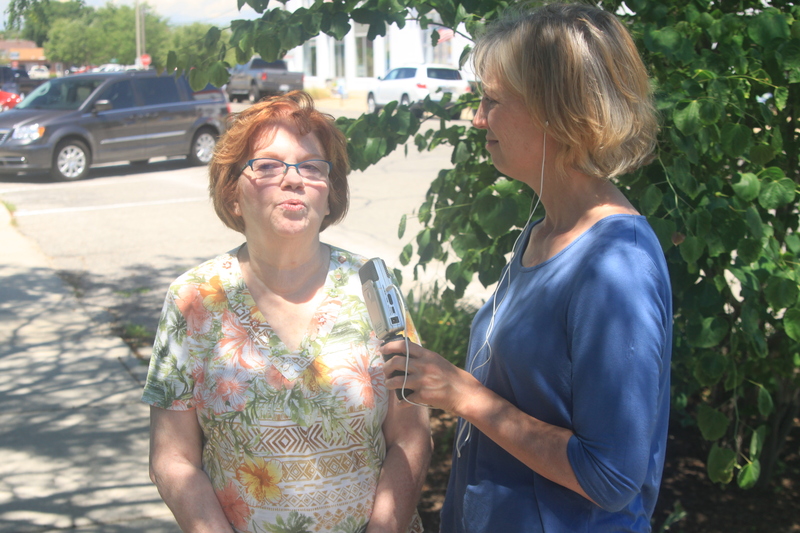 Wanting to hear more about how Radiant Dial's treatment of these women affected the town itself, Anne traveled to Ottawa to hear firsthand what happened to the women and their families in the years that followed. A version of this essay was also published on Medium. It’s a perfect summer day in Ottawa, Illinois and I’m standing in a leafy country cemetery, wondering if the bones of the women buried beneath my feet are radioactive. I’ve driven 250 miles to be here, the closest I can get to these women, who died decades before I was born and who were poisoned, horrifically and knowingly, by their employer. I’m here because I haven’t been able to get their story out of my head. And also because it isn’t over. "The Radium Girls: The Dark Story of America’s Shining Women," Kate Moore’s propulsively readable new history, lays out the damning details: in the 1920s and 1930s, radium, the glow-in-the-dark "wonder element" discovered by Marie Curie spawned a new American industry: luminous clock and watch faces. Radium-dial painting factories employed hundreds of girls and young women to do the delicate, finicky painting. The girls were instructed to keep their brushes sharp by gently sucking them, or "lip pointing." If you know anything about radioactivity, you can guess what happens next. "It’s like watching a horror movie," says Moore. "You know they’re swallowing radioactive substances, and you’re thinking 'no, don’t do it!'" It was cold-blooded murder in industry, money-making murder. —Kate Moore, author of "Radium Girls"
Radium has a half-life of 1,600 years. In the human body, it seeks out and settles in bones— jaw, arm, leg, hip— and progressively destroys them. "Honeycombed" and "moth-eaten" is how doctors later described the girls’ bones. The pain was excruciating. Moore says one of them compared it to "a dentist drilling on a live nerve, hour after hour, for days, weeks, months at a time." Their teeth fell out. Their bones crumbled. Their spines disintegrated. And they began to die. It’s a gruesome story, but it gets worse — because the factory owners denied it was happening. Company doctors autopsied dial-painters who died and then lied about the cause of their death. When more girls sickened, the companies hired medical examiners to test their radioactivity levels, then concealed and lied about the results. Meanwhile, internal corporate documents predicted how much longer each girl had left. "I saw it in the archives when I was researching," says Moore. "A list of all the women’s names and a number from one to five next to each name, one being the highest radioactivity level you can have. It was cold-blooded murder in industry, money-making murder." In 1934, a small group of courageous dial-painters in Ottawa, Illinois filed suit against their employer, the Radium Dial Company. Most of the women were sick — with anemia, sarcomas, rotting jaws, amputated limbs. They knew they were dying — they called themselves the "Society of the Living Dead" — but they persisted. In the end, they won, in a case that helped establish legal protections and federal health standards for generations of workers to come. It seems like that should be the end of the story. But it isn’t. I’m standing in Ottawa’s Oakwood Memorial Park with Darlene Halm and Kathleen Cofoid. They’re descendents of two of the original radium girls, Peg Looney and Catherine Donohue, who are buried here in lead-lined coffins. Darlene and Kathleen grew up knowing what happened to their aunts. But for decades, most people in Ottawa, including city officials, didn’t want to think about it. Radium Dial shut down during the trial, but owner Joseph Kelly opened a new factory just a block away, under a new name: Luminous Processes. He promised safer working conditions and no more lip-pointing, but there was radium everywhere, inside and out. Radioactive waste was emptied into toilets; ventilation shafts discharged near a children’s playground; employees got radioactive dust on their shoes and spread it all over town. More people got sick, but Kelly and the town looked the other way. The plant stayed open until 1978, when federal inspectors found radiation levels 1,666 times greater than was safe and shut it down. By then there was radiation everywhere. The old Radium Dial building had been repurposed and for a while, a meat-locker company operated in the basement. "I knew many families that bought meat there," Kathleen told me, "and at least one person in every family later got cancer." The building was torn down in 1968, but Darlene says "they used it as fill, everywhere." Radioactive rubble was used to build playgrounds, schools and municipal buildings. Today, 16 areas of radiation contamination make up the Ottawa Superfund Site. Kathleen remembers "being a kid and watching guys in space suits digging up the front yard, and at the same time saying 'it’s ok, you can still play out here.’"
"There’s no way," she says, "I’d ever let anyone I know purchase anything there." —Kathleen Cofoid, on future businesses built where Radium Dial once stood. Thinking about Ottawa, other places come to mind: Love Canal; Flint, Michigan. How does a community heal from this kind of damage and betrayal, not just physically, but psychologically? For decades, people in Ottawa denied there was a problem. 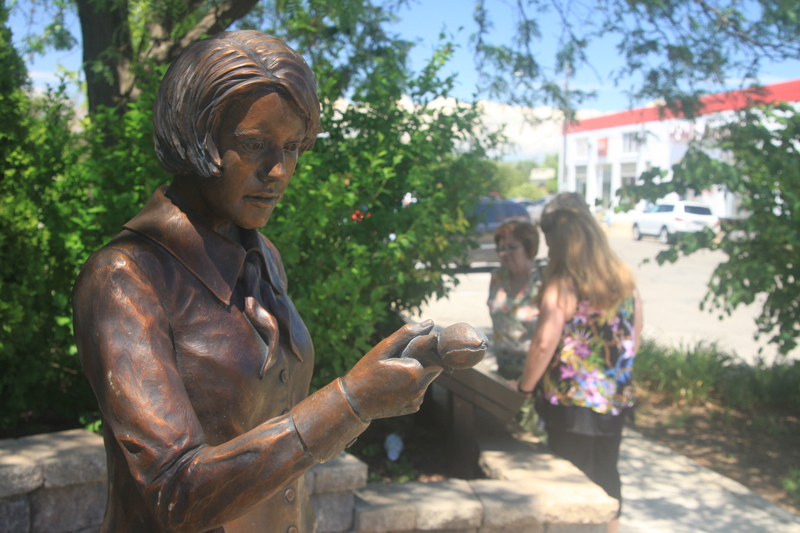 When "Radium Girls" was published in the spring, Darlene helped bring Kate Moore to town for a talk. "A lot of people came who grew up here," she says, "but had never heard the story." Kathleen adds, "People don’t talk about it." But that may be changing. 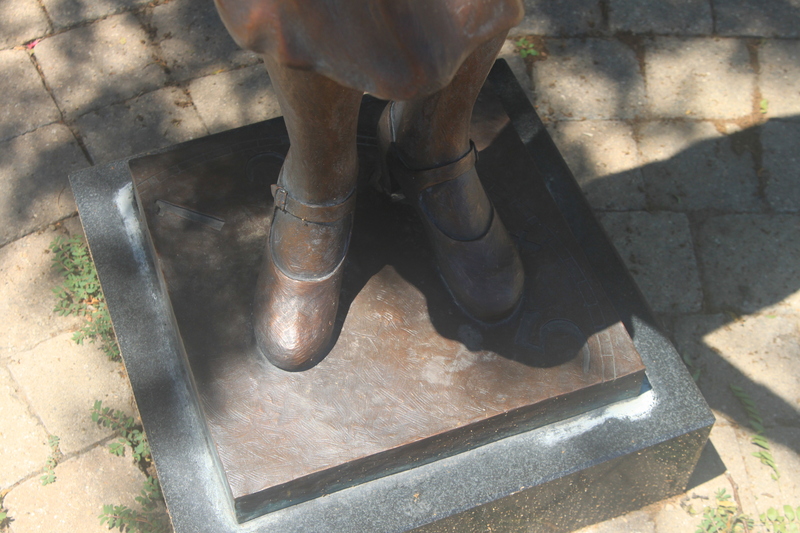 In 2006, Illinois eighth grader Madeline Piller organized a drive to build a monument honoring the dial-painters. The mayor got involved. The town held fish-fry fundraisers and staged plays to raise money. 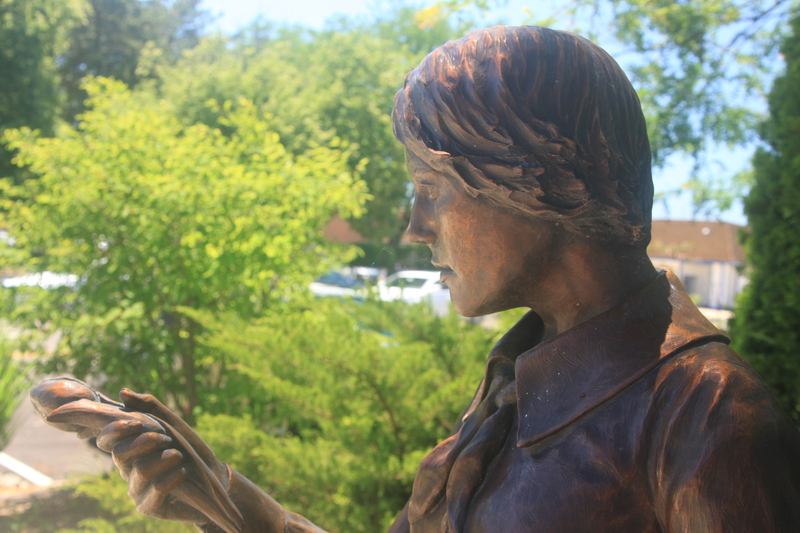 Today a bronze statue of a young woman holding a paint brush stands near the site of the old Luminous Processes plant. There’s also a new artisanal brewery founded by area locals and named, in honor of the women, Radium City Brewing. But it takes more than tributes to turn the corner on history. 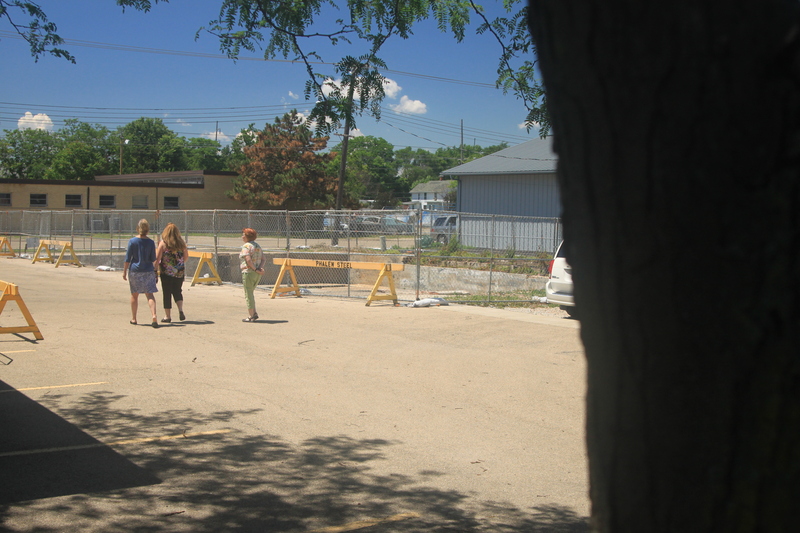 Standing In the middle of town, looking at the empty lot where the Radium Dial factory used to sit, Kathleen wonders if the city has really learned its lesson. There are plans, she’s heard, to put up a new building there — a family business, selling ice cream. "There’s no way," she says, "I’d ever let anyone I know purchase anything there." 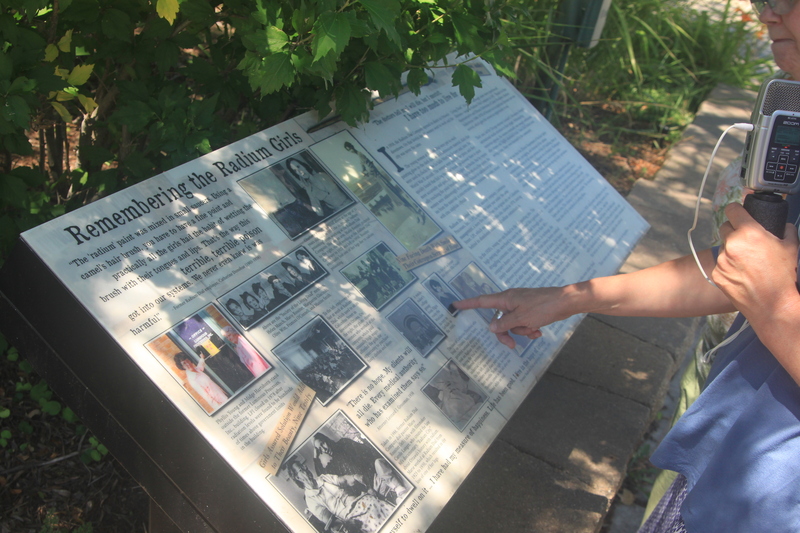 A memorial to the "radium girls" of Ottawa has been erected near the site of the Luminous Processes plant. Anne and Kathleen Cofoid (descendent of Catherine Donohue) speak outside the former site of Luminous Processes plant. 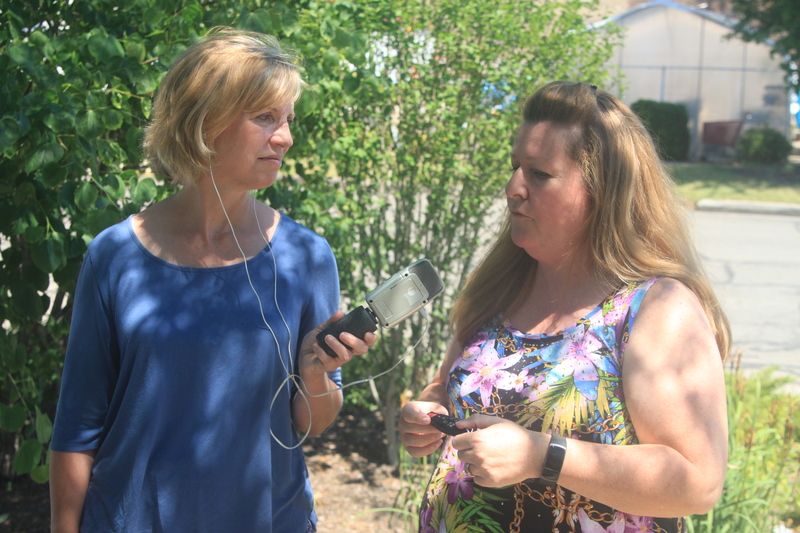 Anne and Darlene Halm (descendent of Peg Looney) speak outside the former site of Luminous Processes plant. The former Lumnious Processes site, the second and supposedly safer production facility of radium-painted dials. It's currently slated to become an ice cream factory. A memorial to Peg Looney. 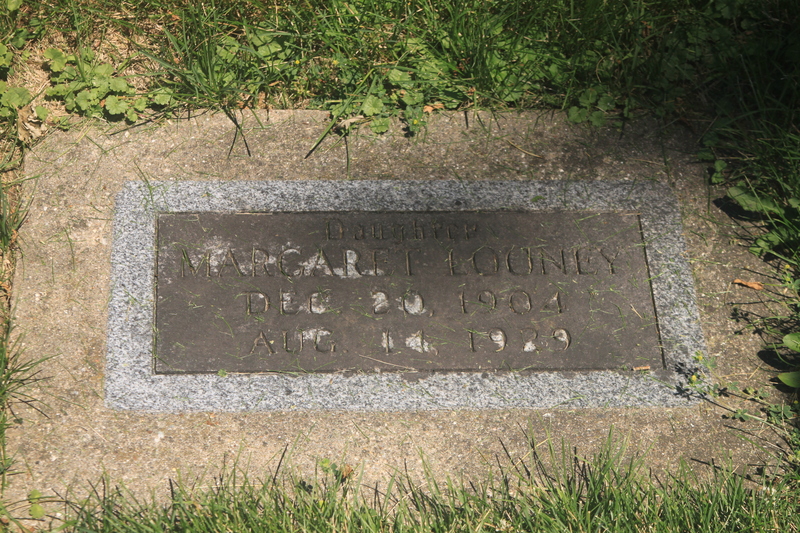 The town cemetery is filled with women who died young due to poisoning from the radium dial factories, including Peg Looney and Catherine Donohue. 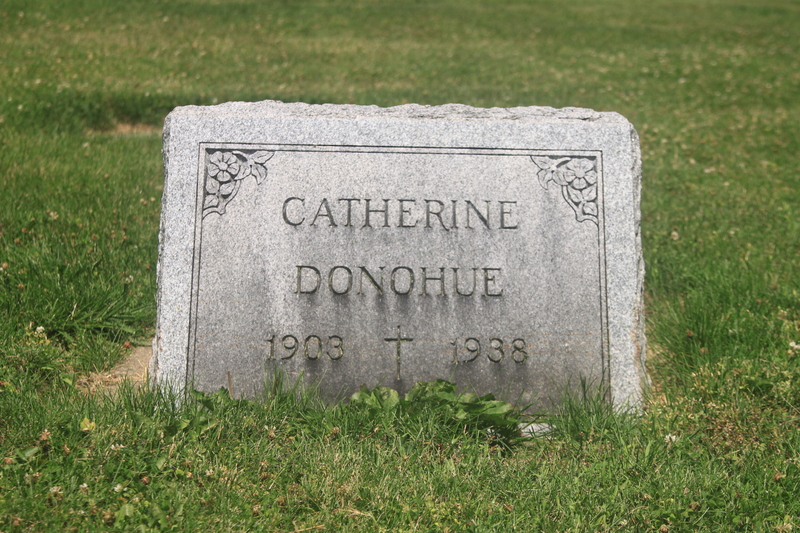 A memorial to Catherine Donahue. The town cemetery is filled with women who died young due to poisoning from the radium dial factories, including Peg Looney and Catherine Donohue.